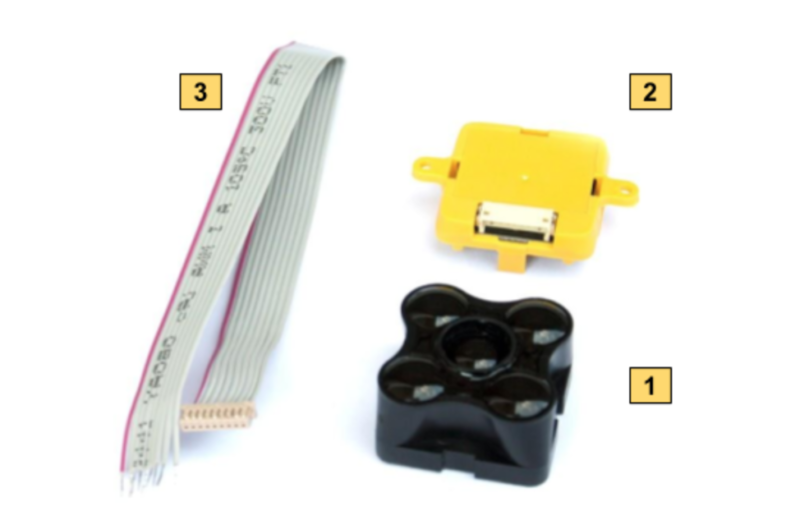 The purpose of this document is to explain how to connect a TeraRanger Evo sensor to a Pixhawk board through the I2C interface and how to setup PX4 or ArduPilot firmware to enable TeraRanger Evo sensor use. At the time of writing, to make the TeraRanger Evo sensor work you must use the developer build version of Arducopter or a PX4 version higher than v.1.7.0. QGroundControl makes it easy to flash the required firmware through the advanced settings. 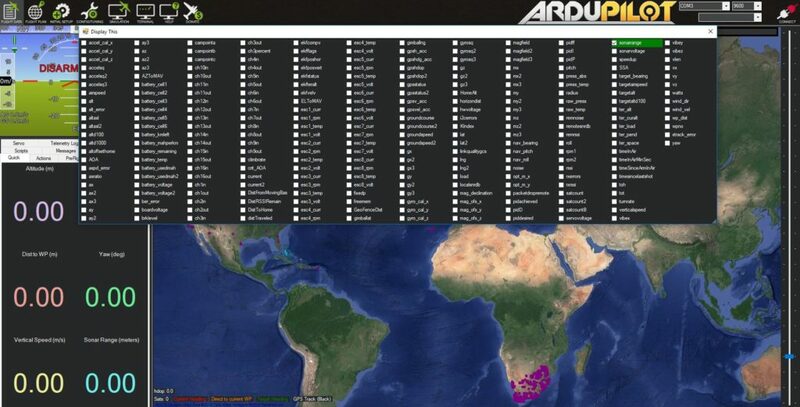 For APM 2 software, see here: http://firmware.ardupilot.org/. Refer to the table below for compatibility. 2. Open Vehicle setup menu and go into the Firmware tab (unplug and replug autopilot if needed). 4. 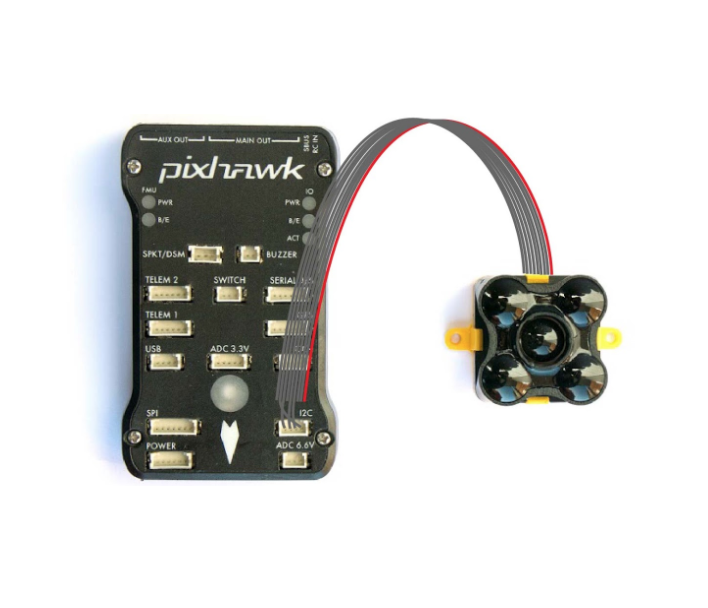 After making sure the sensor is connected to the Pixhawk I2C port, reboot the autopilot. 5. To verify that the sensor is operational open an Analyze Widget (Widgets/Analyze). 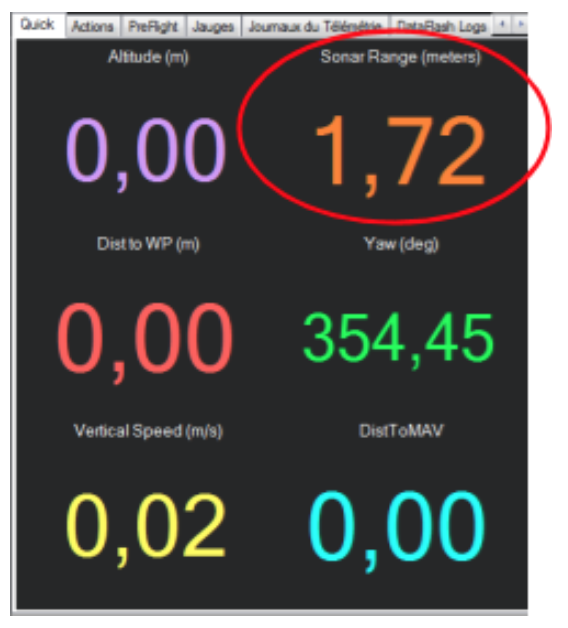 From the list on the left hand side select; M1:DISTANCE_SENSOR.current_distance. 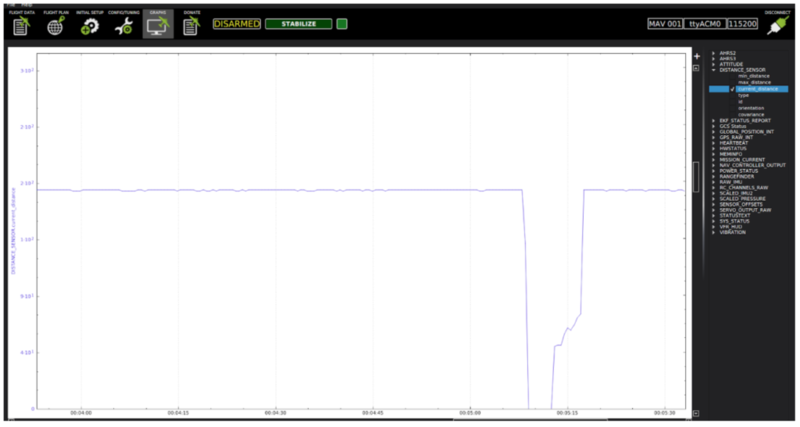 The plot showing distance measurements should indicate that the sensor is working correctly. 1. Go to the Firmware tab on QGroundControl (reconnect autopilot in order to flash a new firmware). 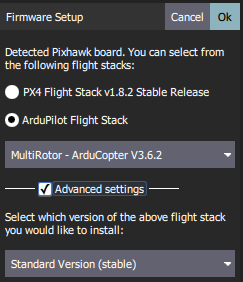 Select ArduPilot Flight Stack. In the dropdown menu select MultiRotor – APM:Copter. 3. To verify that the sensor is operational open an Analyze Widget (Widgets/Analyze). From the list on the left hand side select; M1:DISTANCE_SENSOR.current_distance. 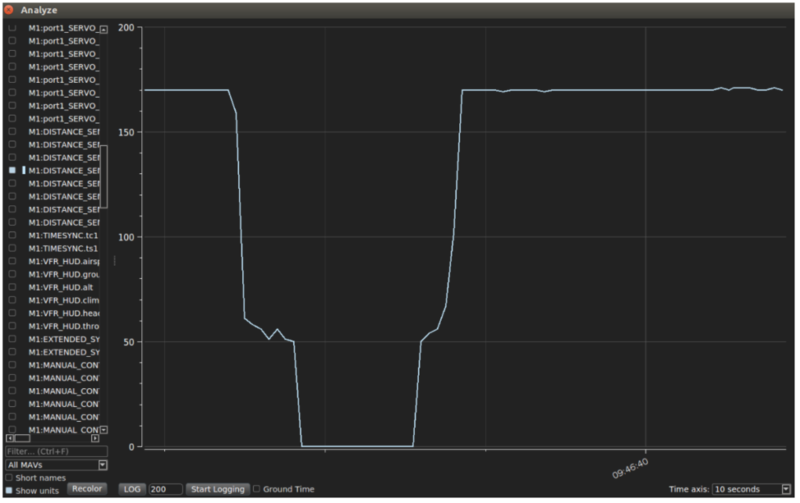 The plot showing distance measurements should indicate that the sensor is working correctly. 1. Open APM Planner. Go to Initial Setup, Instal Firmware and flash the latest firmware of ArduPilot. 2. 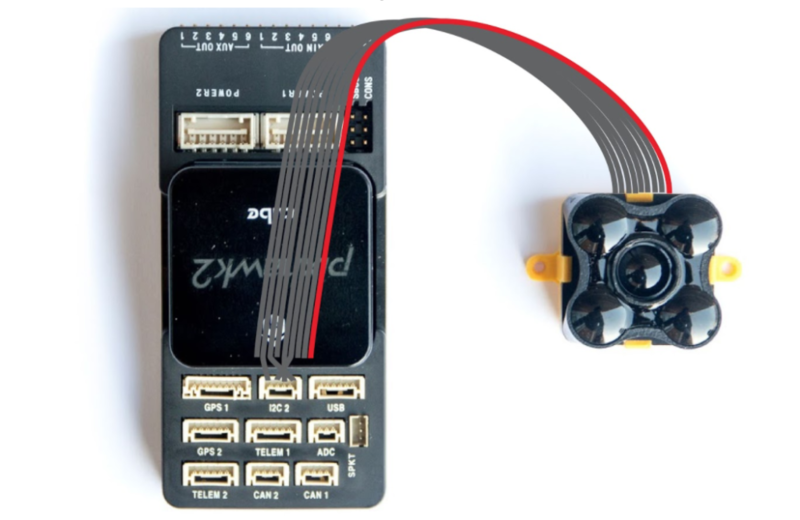 Click on USB device name on the right hand side and select the appropriate Serial Port and Baud Rate for your device and pressthe Connect button. 1. 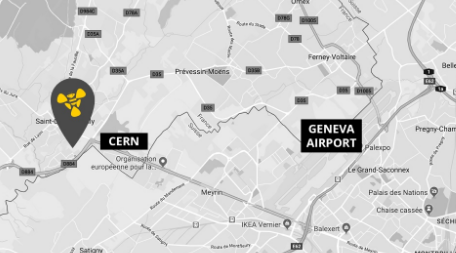 Open Mission Planner. Go to Initial Setup, Instal Firmware and flash the latest firmware. 2. Click on USB device name on the right-hand side and select appropriate Serial Port and Baud 3. 3. Rate for your device and press the Connect button. RNGFND_TYPE : 14 / TrOneI2c / TeraRangerI2C (each of these values should work, but they might appear differently based on GCS software version. 4. Reboot the autopilot and select the Flight Data tab. On the left window you should see a quick tab with displayed value. Double click on one and check SonarRange. The distance is now displayed on the Quick flight data menu.